Self-driving cars, the latest fuel-cell technology and a concept vehicle with tablet-style touch screens aimed at the digital generation were among the innovations on display at the Tokyo Motor Show Wednesday. Nissan unveiled an autonomous electric vehicle that it said would “revolutionise the relationship between car and driver, and future mobility”, while Volkswagen shifted into damage control with another apology for an emissions scandal that has rocked the auto industry. The biennial motor show’s 44th edition, which runs until November 8, features 160 exhibitors from a dozen countries including foreign automakers such as Mercedes-Benz, BMW, Peugeot Citroen, Porsche and Jaguar. It starts a week after Honda said it would put a commercialised self-driving car on the road by 2020, as automakers bet on vehicles that can drive and, in some cases, park themselves. Its bigger rival Toyota plans to roll out an autonomous car by 2020, when Tokyo hosts the Olympics. Nissan chief executive Carlos Ghosn said it was on track to put the self-driving technology in multiple vehicles by 2020. The company aims to put an experimental automated car on Japan’s highways as soon as next year. “It compensates for human error, which causes more than 90 percent of all car accidents,” Ghosn told reporters. Google has been testing self-driving cars in Silicon Valley, as have US-based Tesla and General Motors. But the technology is far from perfect and is widely seen as limited in the short term to highway driving rather than urban traffic jams. Japan’s auto giants will also be showing off their latest concept cars including Toyota’s Kikai. The eye-popping vehicle conjures up images of the Terminator films with parts of its underbelly – including fuel tank and hoses – exposed, giving an inside look at the car’s machinery. Nissan, a leader in electric vehicles, is showing a concept car with knobs and buttons replaced by tablet-style touch screens featuring controls and maps on a white instrument panel. Music, video games and movies can also be played on the screens, in a nod to the smartphone generation. “The car becomes a digital space when it’s parked,” said Nissan’s product planning general manager Hidemi Sasaki. 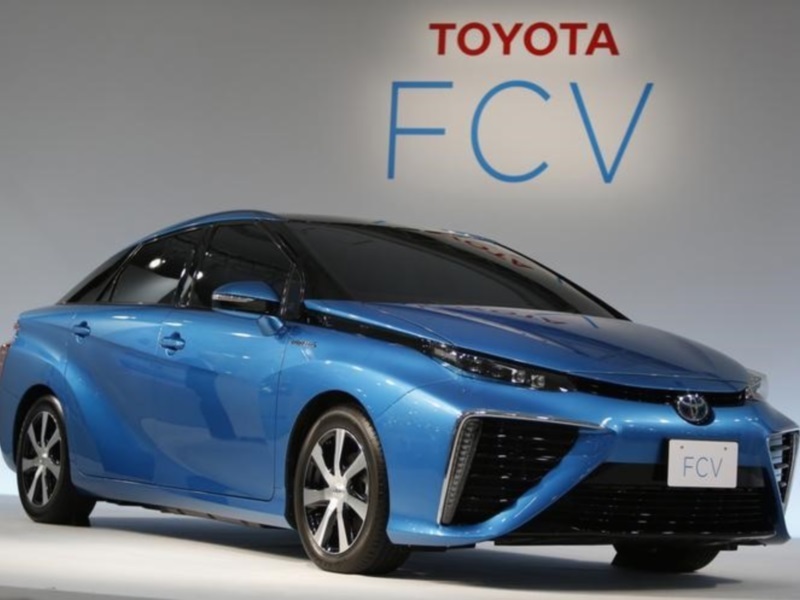 Toyota and Honda are exhibiting their latest fuel-cell offerings, seen as the holy grail of green cars because they emit nothing but water vapour and can operate on renewable hydrogen gas. Toyota last year started selling the world’s first mass market fuel-cell car in Japan, the four-door Mirai. The auto giant is hoping to build on the success of its popular gasoline-electric hybrid Prius to sell tens of thousands of the eco-friendly Mirai over the next decade, as it looks to stop producing fossil-fuel based cars altogether by 2050. Honda’s rival Clarity Fuel-Cell vehicle features a cruising range of more than 700 kilometres (430 miles), which it said would be the longest on the market, and can store enough power to supply an average household’s energy needs for a week. “By connecting the Clarity fuel-cell vehicle with hydrogen stations and external power providers, Honda wants to see a society where we’ll generate power, use it and connect through hydrogen-made energy,” said Honda president Takahiro Hachigo. Limited range and lack of refuelling stations have hampered development of fuel-cell and all-electric cars. For Volkswagen the show was a chance to start working on regaining customer trust after it admitted fitting 11 million of its vehicles with software designed to cheat official checks. The revelation threatens to dent Volkswagen’s sales as it falls behind Toyota as the world’s biggest automaker. “On behalf of my entire company, I’d like to apologise,” new VW chief executive Herbert Diess told reporters.